Can Using a Sauna Help Psoriasis? Since it is known that flare-ups from psoriasis are more common in cold weather, and that light can be an effective treatment, it stands to reason that heat therapy may also be an effective treatment avenue to explore. One way to treat psoriasis with heat is through the use of dry or steam saunas. But does using a sauna in fact help psoriasis flare-ups? Why is psoriasis worse when it’s cold? While sauna therapy produces dry heat, steam rooms generate moist heat. Unlike dry saunas, steam rooms produce high humidity using a device called a steam generator that boils water into steam and releases it in the air. Saunas run hotter than steam rooms, though steam rooms will leave you dripping wet, even though both produce sweat.7 While there are some patients have reported psoriasis benefits from steam rooms, it is important to note that the clinical data discussed here is in relationship to dry sauna therapy. Still, more evidence is needed to conclude therapeutic benefit. Talk to your doctor about whether a sauna might be beneficial for you. Mayo Clinic. Psoriais. Overview. https://www.mayoclinic.org/diseases-conditions/psoriasis/symptoms-causes/syc-20355840. Accessed November 12, 2018. National Psoriasis Foundation. Frequently asked questions: psoriasis in spring, summer, fall and winter. 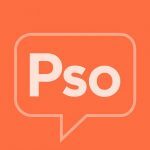 https://www.psoriasis.org/about-psoriasis/faqs/weather. Accessed November 12, 2018. Balato, N., Di Costanzo, L., Patruno, C., Patrì, A., & Ayala, F. (2013). Effect of weather and environmental factors on the clinical course of psoriasis. Occupational and Environmental Medicine, 70(8), 600. doi:http://dx.doi.org/10.1136/oemed-2013-101505. Hussain J, Cohen M. Clinical effects of regular dry sauna bathing: a systematic review. Evid Based Complement Alternat Med. Published online 2018 Apr 24. https://www.ncbi.nlm.nih.gov/pmc/articles/PMC5941775/. Accessed November 12, 2018. Hannuksela ML, Ellahham S. Benefits and risks of sauna bathing. Am J Med. 2001;110(2):118026. Harvard Health Publishing. Harvard Medical School. Sauna health benefits: are saunas healthy or harmful? https://www.health.harvard.edu/staying-healthy/saunas-and-your-health. Accessed November 12, 2018. Livestrong.com. Merrit C. Sauna vs. steam room. https://www.livestrong.com/article/153808-sauna-vs-steam-room/. Accessed November 12, 2018.